Spokes & Scrub Jays - Playalinda Brewing Co.
Gear Up. 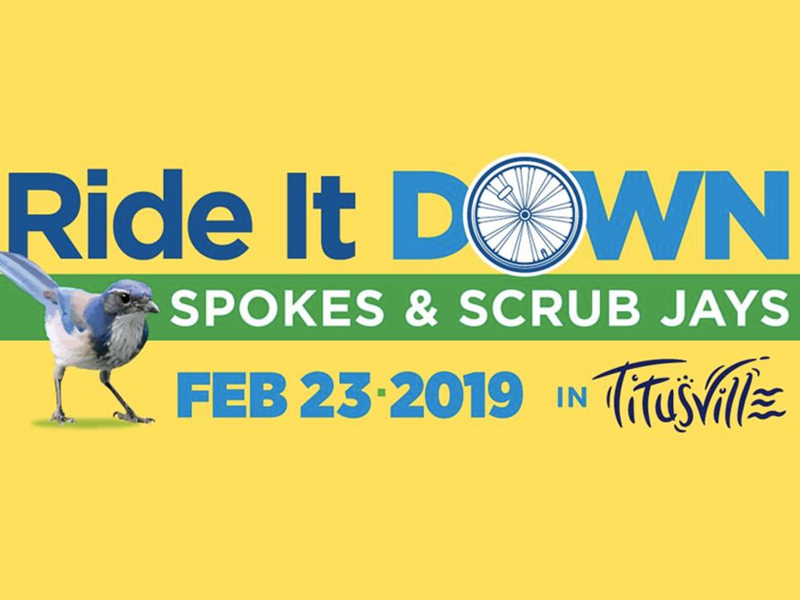 RIDE IT DOWN In Titusville, February 23, 2019. It’s Scrub Jay Territory and it’s Festival Time. REGISTER NOW! Ride our Trails and Meet Our Jays. It’s all SPOKES & SCRUB JAYS, FEATHERS & FRIENDS for a great day on our Trails and in our Historic Downtown. 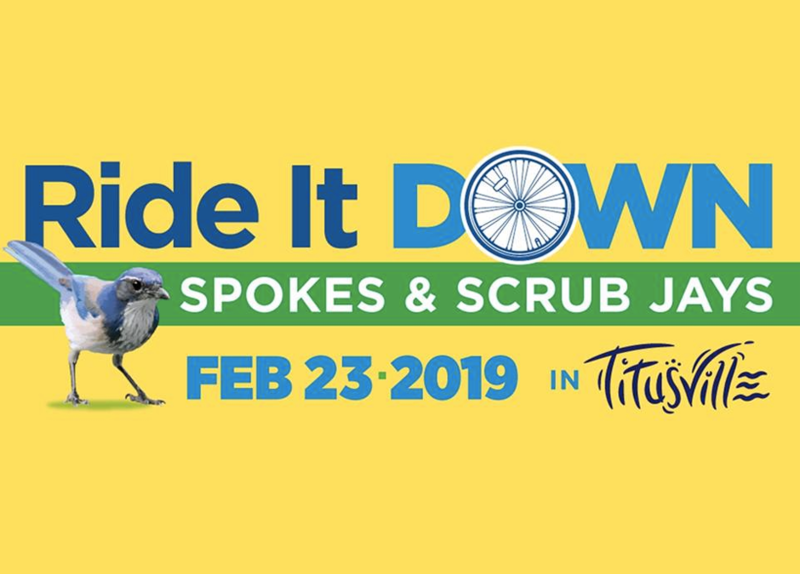 8:30 AM ride registration at the Welcome Center downtown with rides leaving from 9AM – 9:45AM and end your ride back at the Welcome Center with the Scrub Jay Festival to continue to fun! All Registrations made before February 4th include a commemorative T-Shirt!